My last update left off with us beginning the official adoption process through Carolina Adoption Services, the only adoption agency certified by Mexico (at that time). 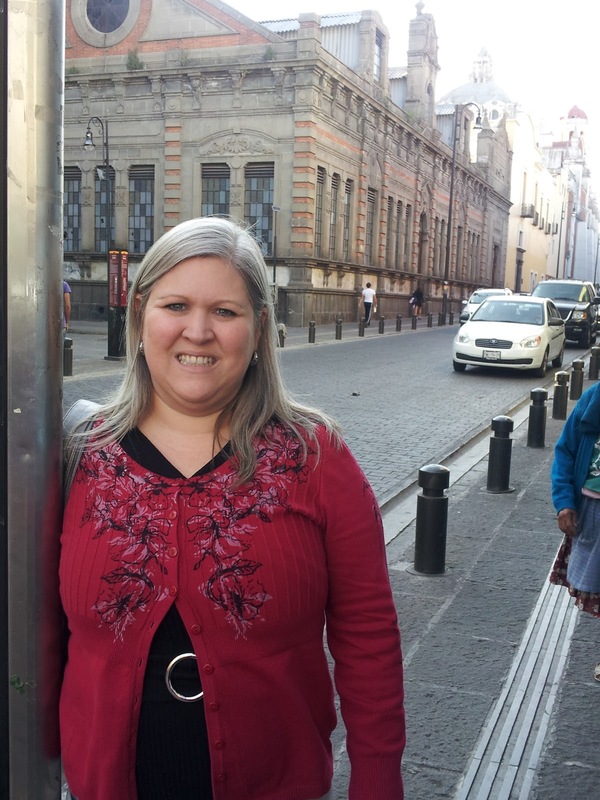 We were assigned to Angela J. who oversees CAS's Mexico, Peru and Waiting Child programs. She explained the (lengthy) process to us and made sure we understood that adopting from Mexico was considered a "pilot program." Mexico is still in the process of conforming to the Hague Convention and the process is subject to being clarified, adapted, updated, changed, etc. But we felt peace about it and decided to press on. There's a whole lot more to it, but this gives you an idea of the types of information requested. Some of these steps are quite extensive. For example, the Home Study required multiple interviews, some in our home, some with our children. We also had to go through some specialized education to understand children who have gone through trauma (including living in institutionalized settings, such as orphanages). We actually enjoyed the classes and reading - I wish I had had this kind of access a long time ago. The background checks were extensive, including every area we had lived in since the age of 18. Because there was so much information needed, Lori actually resigned her job to devote full-time attention to completing the dossier. And she did a magnificent job! Every item had to be checked and rechecked for accuracy, notarized and finally sent to the Secretary of State to receive an "apostille" from their office, certifying the notary. 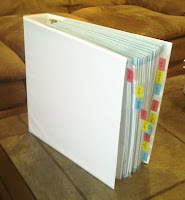 When it was all said and done it was a very thick 3-ring binder that Lori organized with color-coded section dividers. I'm so proud of her! We got the dossier sent off to CAS in mid-February, 2011 and after reviewing it they forwarded it on to the translator. About a month later it was submitted to the Department of Exterior Relations in Mexico City, and in mid-April it arrived in Puebla for consideration by the DIF (acronym for the "Full Development of the Family" agency that oversees orphanages, adoptions and other family-related matters). We had been told it could take quite awhile for Puebla to approve our application as they are very thorough in reviewing all applicants, as they should be, since the well-being of children is at stake. Sometime in September Lori had the idea of us going to Puebla to meet the officials in person so they could get to know us and hear our hearts. It's one thing to read an application, it's another thing to look someone in the eye and understand their motive for wanting to adopt a child. We also thought it would be good for them to know we are fluent in Spanish and want to raise our son with full knowledge and appreciation of his Mexican heritage. We contacted CAS to ask about the possibility, they contacted the Puebla officials who extended the invitation, and we made plans to go to Puebla at the end of a previously planned trip to southern Mexico in November. 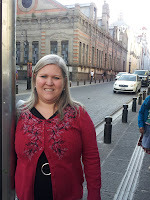 After participating in the final leadership seminar (out of 6) in Coatzacoalcos, Veracruz, Lori and I took a bus to Puebla on Sunday, November 27, 2011 for our meeting the next morning. We absolutely LOVED Puebla! It's a city full of amazing history, architecture and great food! And our meeting with the DIF officials went very well. They gave us a letter telling us they had approved our application and we were officially on the waiting list for international families!!! This was GREAT news! Of course there are a lot of other families ahead of us, but we know God has the perfect little boy waiting for our hearts and home. So now we wait. There are ongoing activities. For example, we had to renew our USCIS approval to adopt internationally, and to do that we had to update our homestudy and get new background checks done. After our homestudy update was completed we had to travel down to New Orleans to update our "biometrics" (a fancy name for fingerprints). We got our approval letter last week letting us know we're good through May of 2013. Hopefully the adoption will be completed by then, or we'll have to do all this again for another 15-month extension. But God is in charge of the time-frame. One last update - Mexico is consolidating the adoption process through the national DIF in Mexico City. So the files for all children from all the states who are eligible to be adopted will sent to DIF/Mexico City to first attempt to have them adopted in Mexico, and then placed for international adoption. This is obviously best for the children to be adopted within their country, culture and language. But as I stated before, we know God has this process in His hands and we continue to pray for the Mexican officials as they work in the best interest of the children they are protecting and serving. Hopefully that gets you all up to date and I'll post further updates as things happen. Thanks for your prayers and interest. Thank you, "Little Mama!" We appreciate your support so much. This has been a long journey, and the end is not yet in sight, but we wait with hopeful anticipation for the Lord's will to be accomplished in and through us. Thanks for reading and commenting! Give Chap my love! I can't believe that I'm just getting around to reading this part 3! Reading it was a reminder of you and Lori going through it. 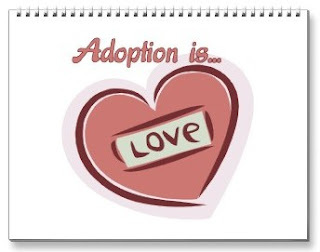 I pray for your adoption every time I think about it, which is pretty often, lately. As always, I love you, big brother. Thanks, Jill! We're excited and believe God is soon going to open some more doors for us. Thanks for sharing our excitement!